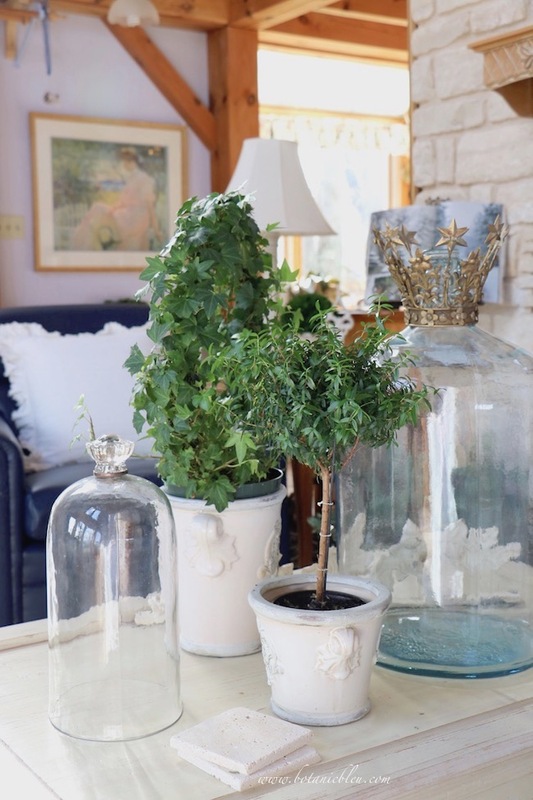 Winter decor in my French Country inspired living room includes an oval boxwood, an oval glass cloche, and a favorite old water bottle. Live green plants are always among my favorite things in the house... in every room, but live rosemary trees are hard for me to keep alive. For Christmas and weeks following, there was a live tree-shaped rosemary plant in a large crock on the living room coffee table. Sadly, I neglected watering the rosemary plant as I should have, and it never recovered. A large five-gallon water bottle now sits where the rosemary plant was before. The bottle is from the time period we had drinking water delivered regularly to our house before we were able to connect to the community water supply. The bottle with a small crown on its neck is usually someplace in the living room all the time. Most often the bottle stands on the hearth near the fireplace. 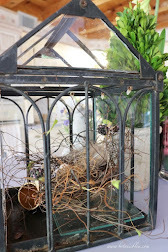 The bottle is large enough to balance well with the ivy ring wreath and a myrtle topiary on the coffee table. 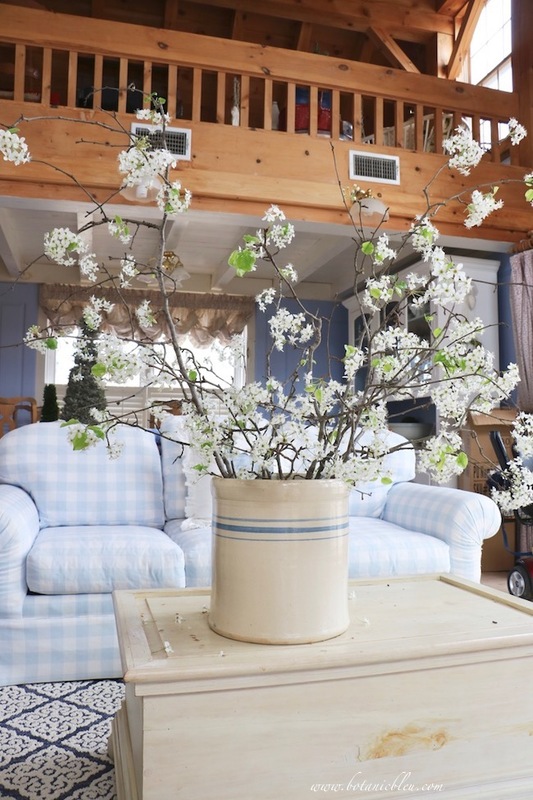 A tip for good design is to repeat similar styles, textures, and colors in arrangements. The small oval glass cloche was a Christmas present this year, and it adds another bit of glass to go with the glass water bottle. 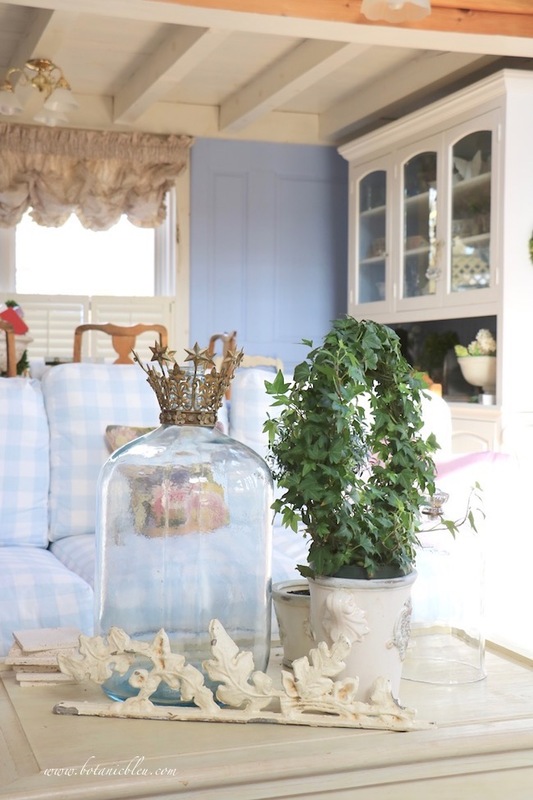 The oval shape of the glass cloche is repeated in the oval boxwood on the mantel. When you look at a room, you may not consciously make the connection between two items being oval shaped, but your brain takes in everything you see. 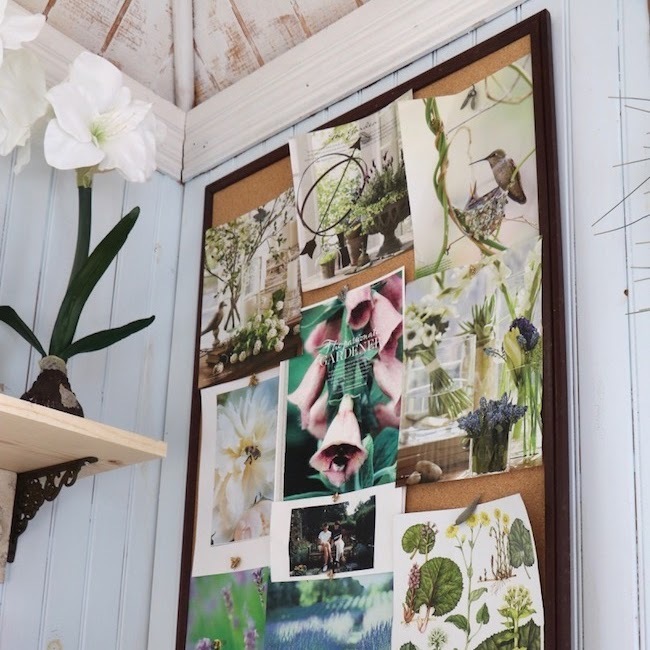 Subconsciously the room decor is more pleasing when there are connections between items in the room. Boxwood is one of my favorite ways to add greenery at any time of the year. One of the advantages of preserved boxwood is how easy it is to care for it. 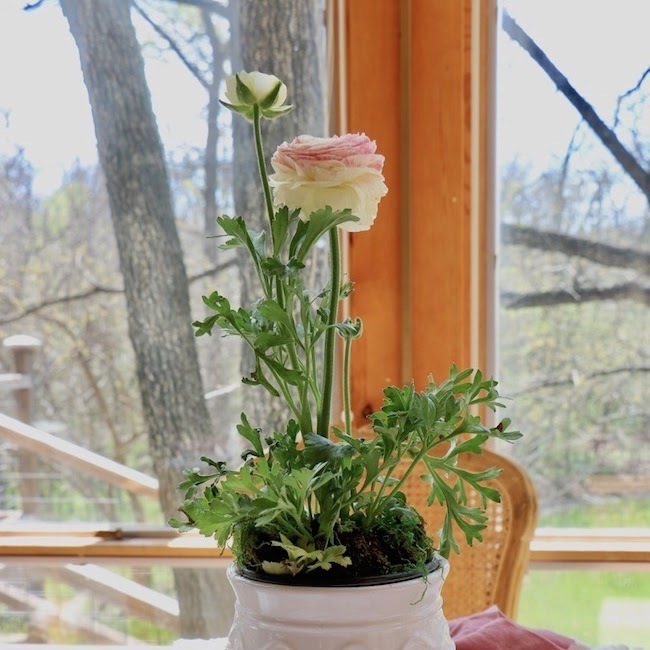 No watering is needed, except for an occasional misting of the leaves to keep them fresh. This is one plant I do not have to worry about letting it die from neglect. 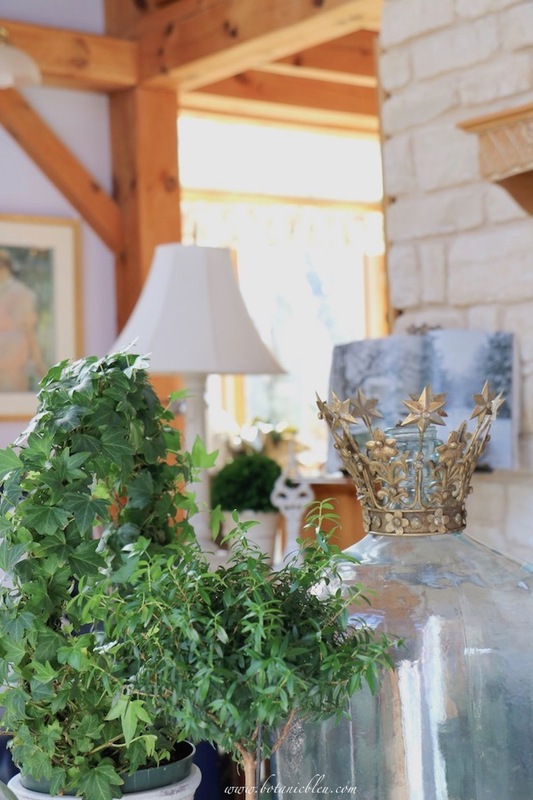 The boxwood, glass cloche, and water bottle along with the live plants can brighten my French Country inspired living room for all of the weeks of Winter yet to come. 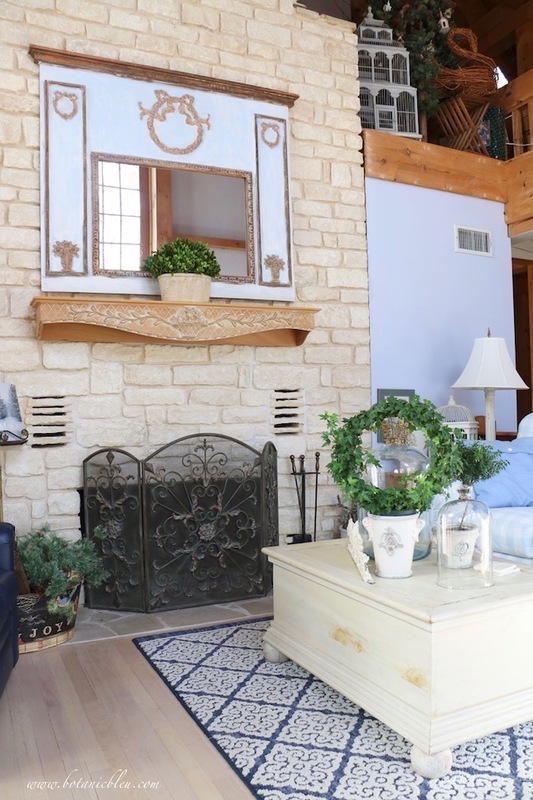 Greenery is always a good way to add color and life to a home during all seasons, but particularly in Winter when the outside plants are dormant without color. 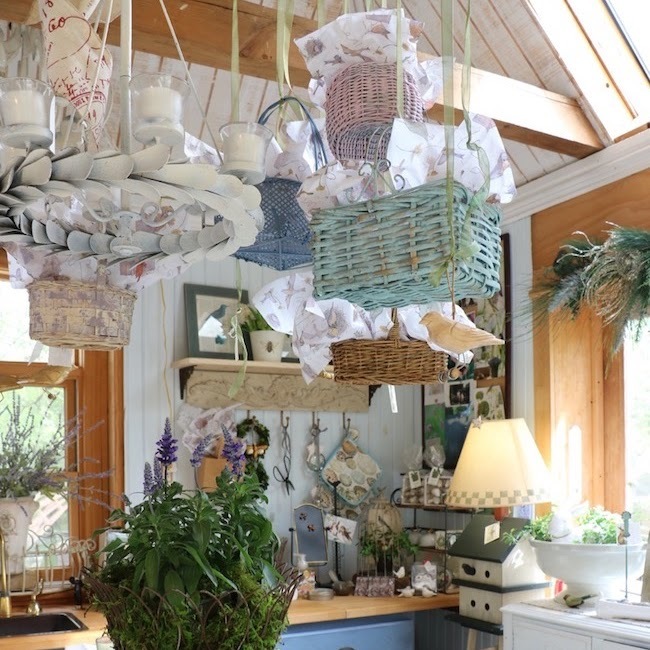 If you do not think you have a green thumb to keep house plants alive, you can use preserved boxwood or faux plants. 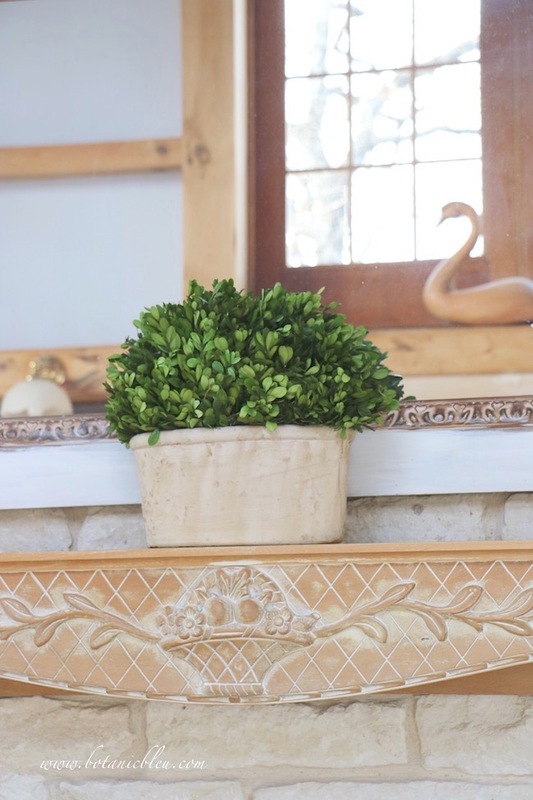 The bit of greenery in the firewood bucket near the fireplace is faux Christmas greenery that hides unsightly firewood. 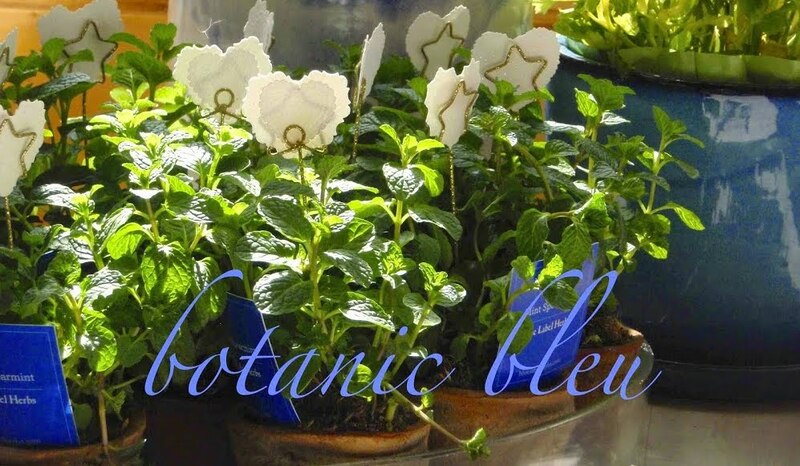 Thank you for reading Botanic Bleu. As always, I hope you found a tip or two to help you with your home decor. 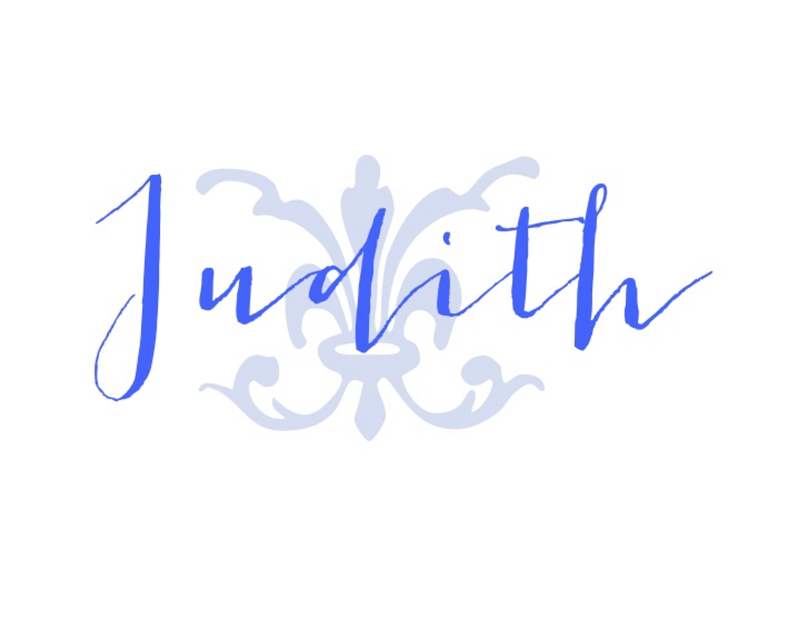 I would love for you to follow all my Pinterest boards! 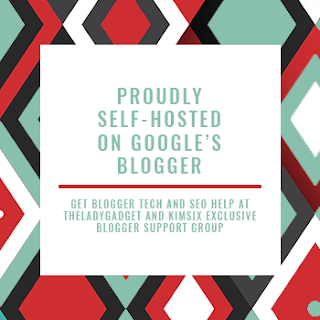 Sign up to receive every new post in your email. Enter your email address in the blue box at the top of the sidebar. I love the way you put things together to make beautiful displays. I particularly like the crown on top of the water bottle - very unusual. 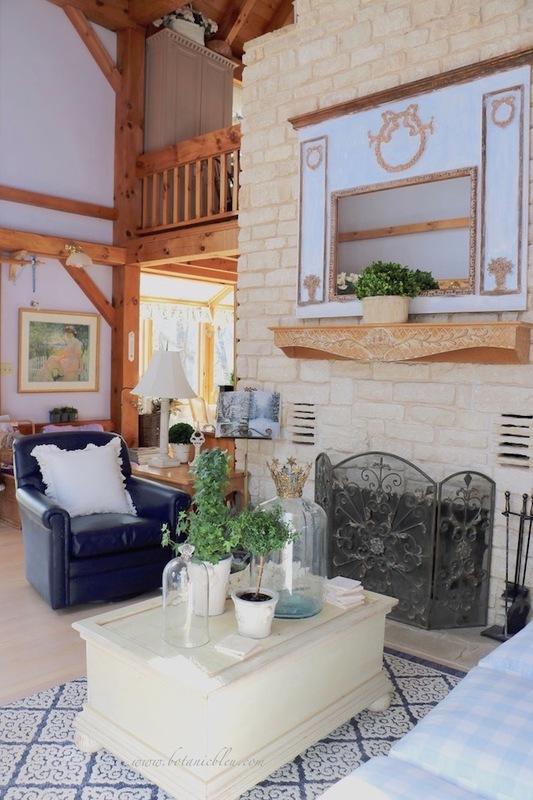 I love your French country inspired living room; very inviting and cozy too. The rug is very pretty, I'm looking at arial rugs for a corridor and kitchen. 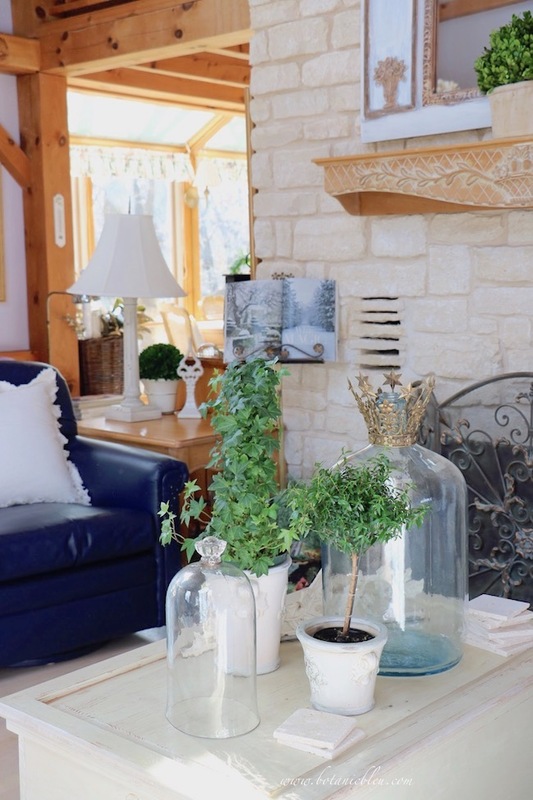 Love the way you have incorporated the water jug in your decor. The bottle even has a blue tinge! The crown is the icing on the cake. The whole room is very inviting! Your room is so pretty. 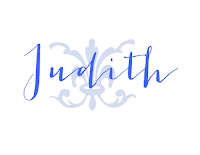 I'm in the process of writing my newsletter, and when I'm done I'll send you a link!